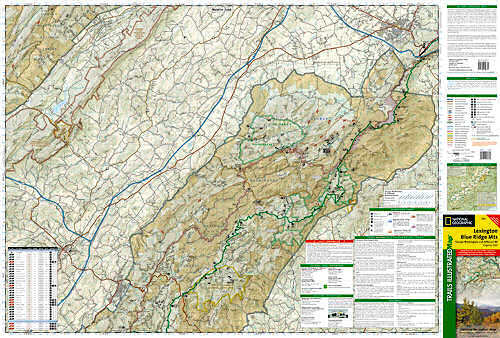 Trails Illustrated Lexington - Blue Ridge Mountains Trail Map [ti789] - $9.95 : Trail Explorers Outpost, Keeping the Adventure Alive! The National Geographic's- Trails Illustrated's folded map is your essential guide for outdoor exploration in the Lexington/Blue Ridge Mountains Area. The brilliantly illustrated topographical representation shows all trails, campsites, and recreational features, plus relevant info on wildlife, history, geology, and archaeology. 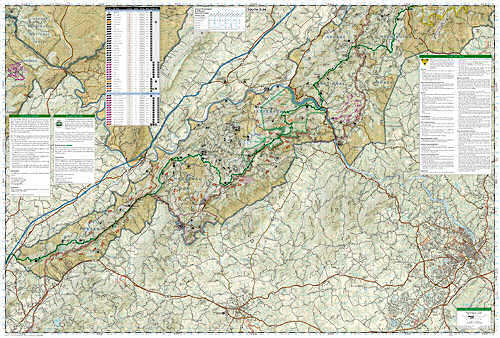 Coverage includes George Washington and Jefferson National Forest. Towns: Lexington, Buena Vista, Waynesboro, Bedford, Blue Ridge. Wilderness Areas: The Priest, Three Ridges, Saint Mary's, Thunder Ridge, James River Face. Major trails: Appalachian National Scenic Trail, Glenwood Horse Trail.Other highlights: Blue Ridge Parkway, Peaks of Otter, Mount Pleasant National Scenic Area.